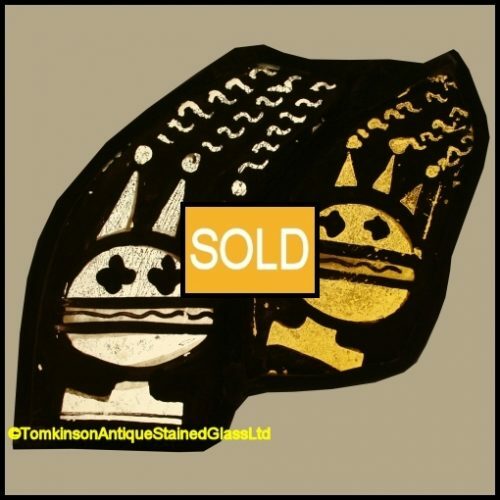 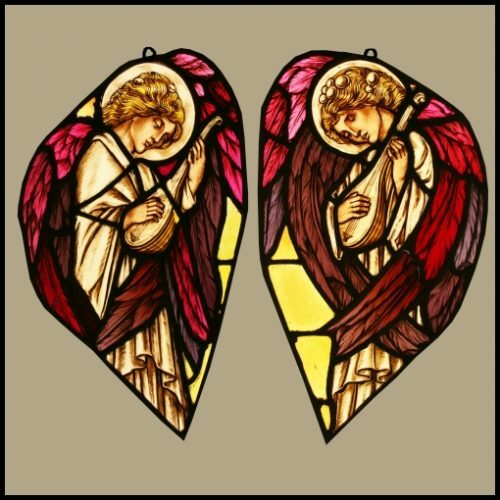 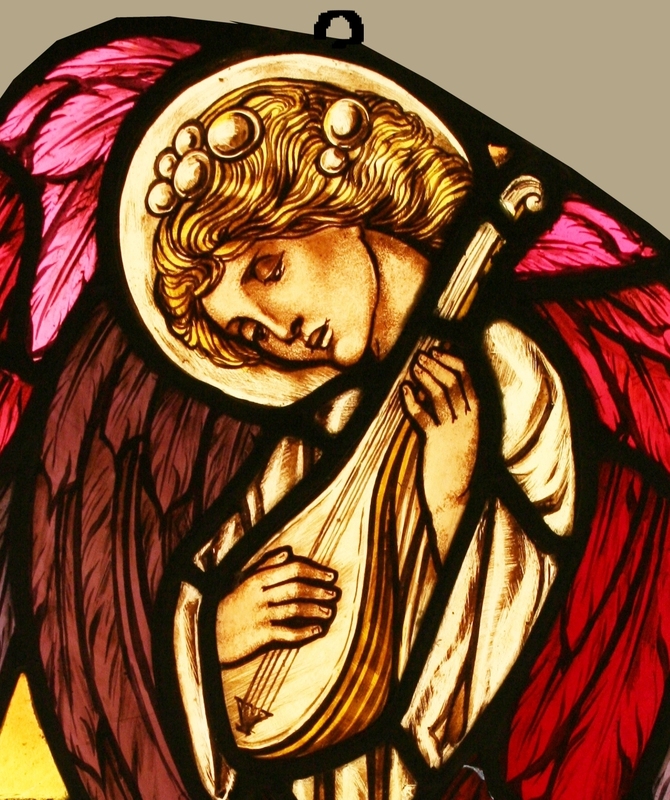 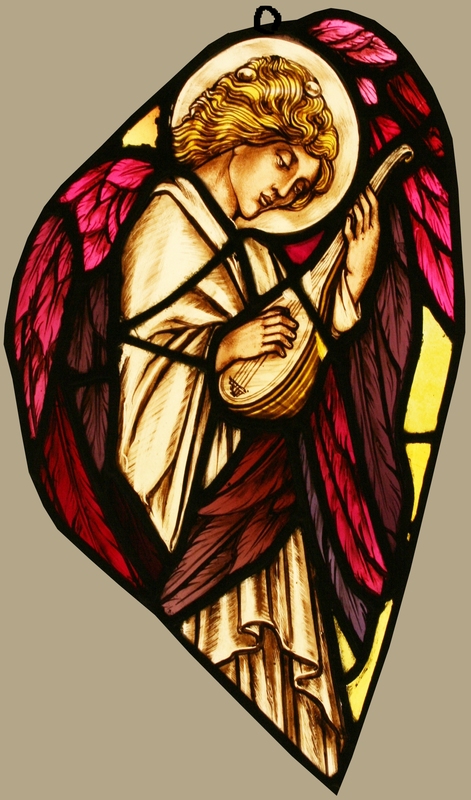 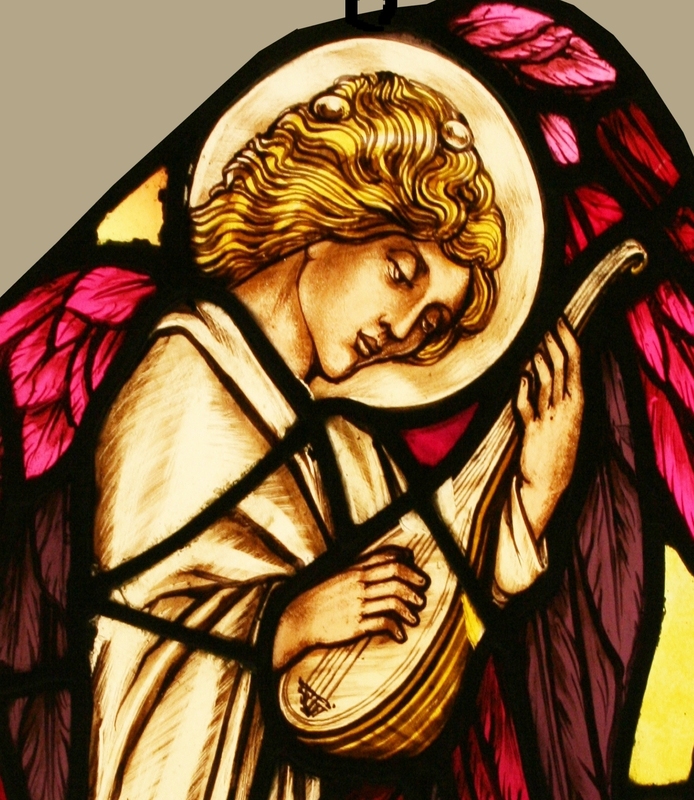 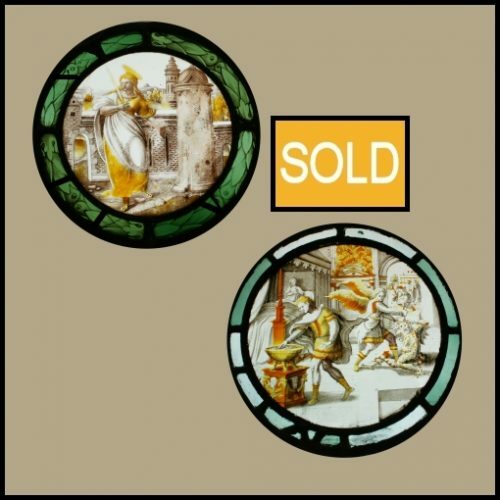 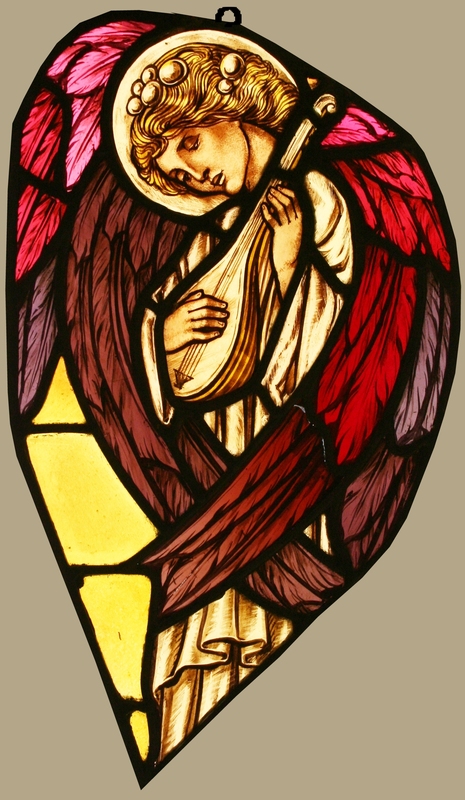 Pair of antique church stained glass panels c1910, leaded and painted depicting Angels playing mandolins. 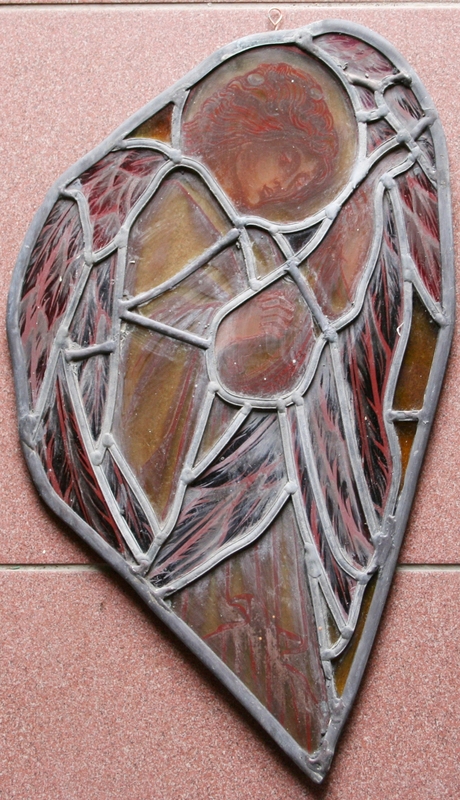 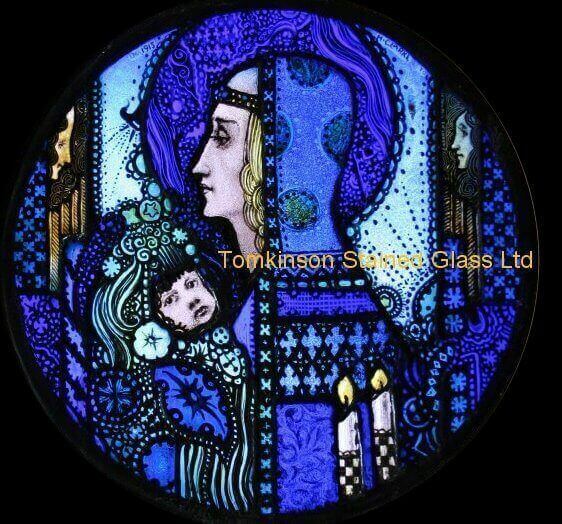 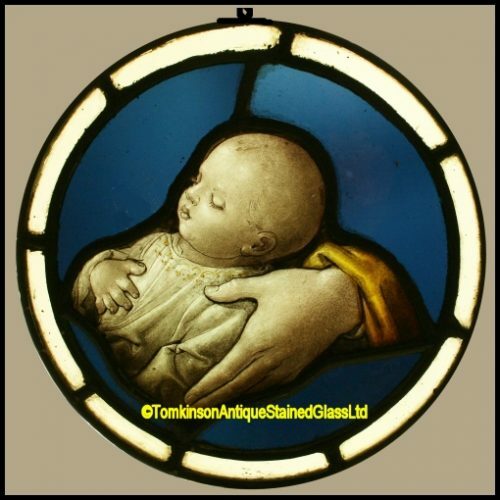 Hand painted on hand rolled “Antique Streaky” coloured glass. 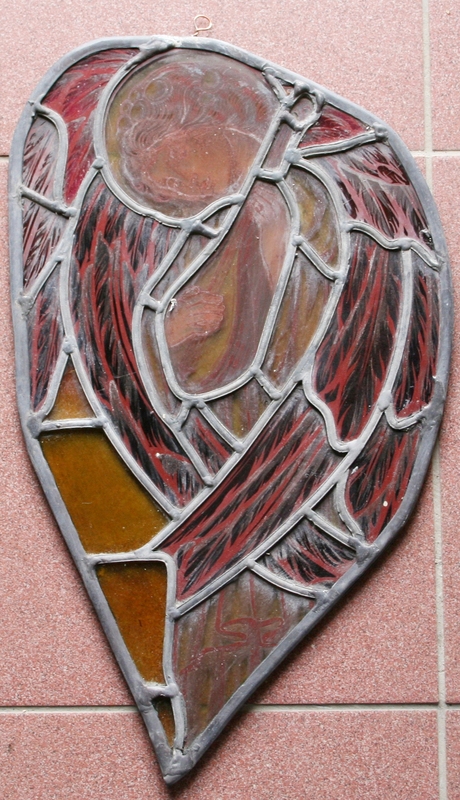 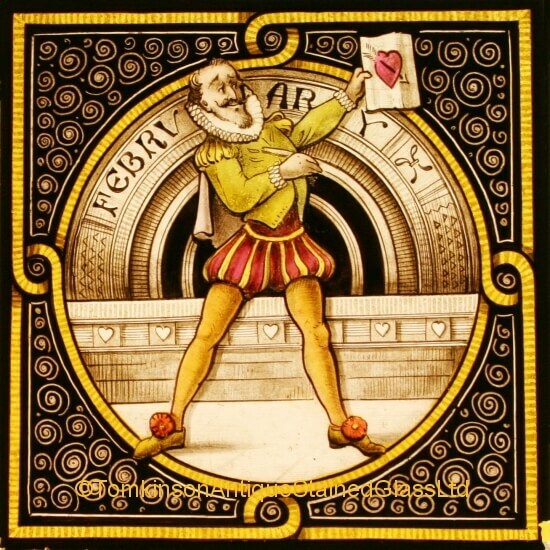 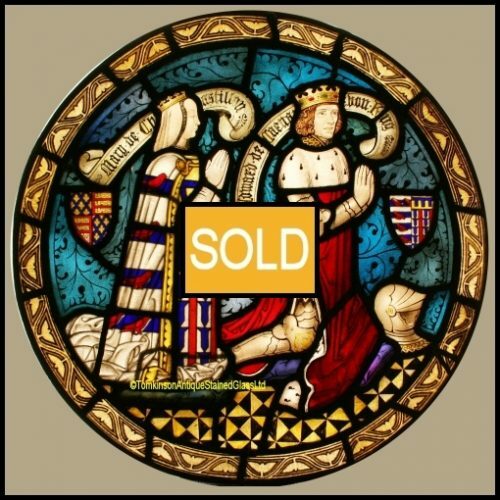 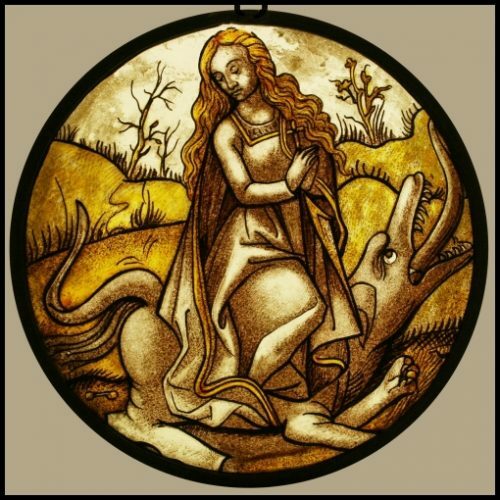 Salvaged from a church altar window.